The above video, with the sleek blue-hued pistol featured, is from the IWA Show in Germany earlier this month. The two-toned handgun previously made a cameo at the 2019 HIT Show in Vicenza, Italy earlier this year. As the gun has Maryland rollmarks, you can bet it will be on hand at the upcoming NRA Annual Meeting in Indianapolis. 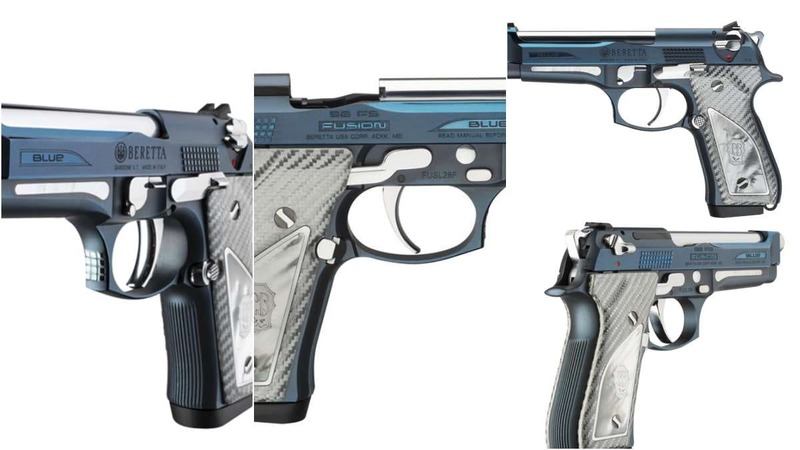 The guns are the latest in Beretta’s Fusion series of limited edition handguns.